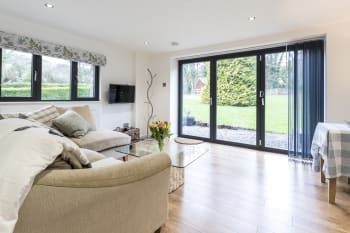 Both our properties are located just outside the picturesque village of Longhope, on the edge of the Forest of Dean, set in amazing 7 acres of land, with the owners next door. Mill Cottage dates back to circa 1695 and has a cosy home from home feel with many of the original features. It has a double downstairs bedroom with with an en-suite walk in shower. 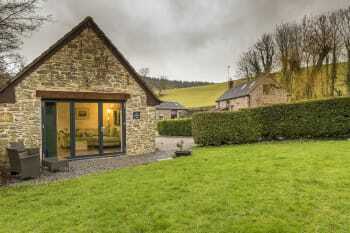 A well equipped kitchen, with a dining room and a living room with a wood burning stove. 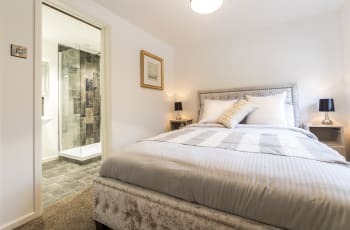 Upstairs can sleep a maximum of 4 people in the large beamed bedroom with twin beds and a trundle bed and an en-suite bathroom. Outside there is a secure fenced patio area with garden furniture. 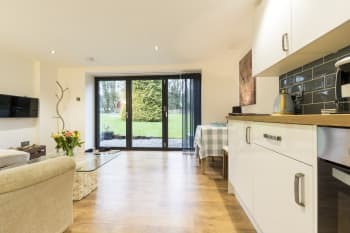 Mill Garden lodge is a newly converted one bedroom lodge ,with stunning open plan living. The lodge has a very luxurious bedroom with a king sized bed with a tiled en-suite shower room. It has a very modern feel with its large corner sofa and open plan fully equipped kitchen area. 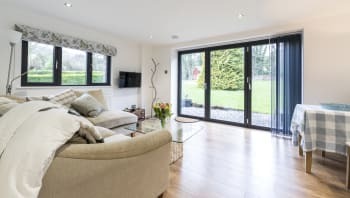 Bi-fold doors open onto your own private garden overlooking the babbling stream. There are no rooms available at Parish Mill Cottage for these dates. Great getaway spot. Cosy retreat in the country. Very nice hosts and great location. Loved the Victoria sponge made by Tracey I assume. Will be back. Go to Cheltenham for pubs, restaurants and just the beauty of the town.